Unless you’re reading this while using an inhaler, this fact may surprise you: According to the CDC, 26 million Americans currently have the chronic respiratory disease we know as asthma. Not only that, but the CDC tells us that the disease costs the U.S. $3,300 per person annually, and medical expenses associated with asthma have increased to about $56 billion (thanks to hospitalizations, emergency room visits and missed work), while over 10 percent of insured Americans are unable to afford their prescription medicines. Asthmapolis launched in 2010 to help find a solution by leveraging the advances in sensor technology (and the reduced costs of producing said sensors) and mobile data monitoring to help people manage their asthma more effectively, in turn reducing the costs both for those suffering from asthma and for the U.S. healthcare system itself. And, today, the Wisconsin-based startup has announced that it has raised $5 million in Series A financing from The Social+Capital Partnership to build out a comprehensive solution and support system for those with the chronic respiratory disease. Asthmapolis is one of a new generation of digital health startups attempting to hack the old software, devices and care systems that continue to prevail in today’s healthcare landscape. We recently wrote about Intersect ENT, for example, which is hacking stents (yes, stents) to help doctors more effectively treat the 31 million-plus people suffering from sinusitis. Meanwhile, Glooko, Omada Health and a number of other startups are bringing mobile and digital technology to those with diabetes to help them manage the condition and, in Omada’s case, hopefully even prevent it. Asthmapolis, on the other hand, is on a mission to hack your inhaler. The startup has designed snap-on, Bluetooth-enabled sensors that track how often people are using their inhalers (along with location and time-of-day), along with analytics and mobile apps for iOS and Android to help them visualize and understand their triggers and trends while receiving personalized feedback. In turn, the data collected by the solution enables doctors to identify patients who are risk or need more help controlling its symptoms. This allows them to potentially prevent attacks before they happen, saving them the cost of hospitalization or a trip to the emergency room. 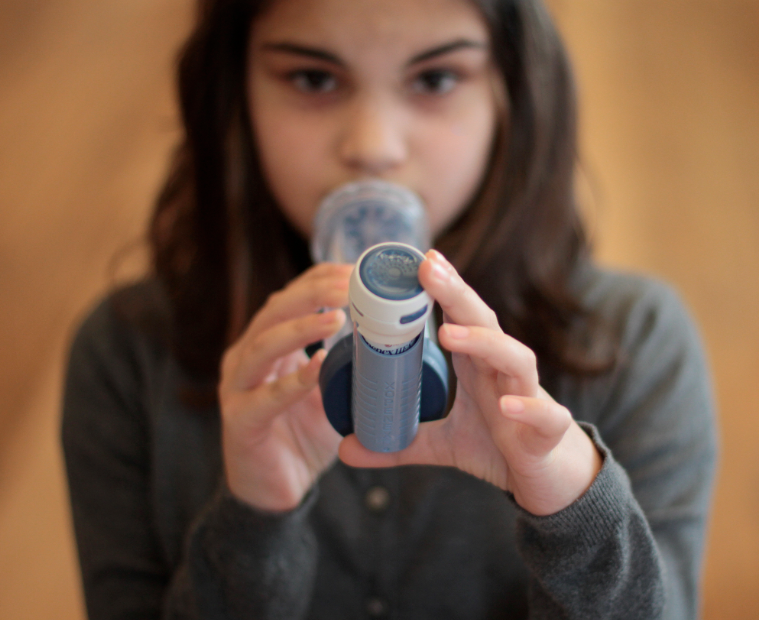 In fact, Asthmapolis’ early studies found that this access to realtime data was able to reduce the number of people with uncontrolled asthma (or those not regularly using inhalers) by 50 percent. Without realtime data and the ability to collect information on the context and situations in which people develop symptoms, doctors are groping around in the dark and waiting for attacks before they analyze context and begin treatment. Many startups are beginning to recognize the opportunity both to create a sustainable businesses and affect real change by positioning themselves at the intersection of growing trends like mobile devices and mobile health initiatives, personalized medicine, big data and sensors. Asthmapolis co-founder and CEO David Van Sickle thinks that the startup can sit at that intersection, while differentiating from competitors by offering both a hardware and software solution. Not only that, but Asthmapolis received approval from the FDA in July to market its asthma-tracking device and software solution to consumers, which puts it on a very short list. In turn, its software platform, which is available both in English and Spanish, allows users to keep a digital log on their use of medications, while receiving personalized feedback — both designed to improve their ability to successfully manage the disease. In the big picture, the startup also wants to help public health institutions better evaluate the efficacy of their interventions and treatments and unlock insight into how asthma works and where it originates. And that’s where Asthmapolis is monetizing: By selling its hardware and software solution to payers and health plan providers. With more effective treatment solutions, insurance providers and health plans can save between $4,000 to $6,000 in annual healthcare costs — and, naturally, that’s money in the bank. The company has formed a number of partnerships in the last year in this regard, which include programs with payers like Amerigroup Florida/WellPoint and providers like Wyckoff Heights Medical Center in New York and Dignity Health in California. Going forward, the startup will look to continue expanding its relationships with providers and payers, along with initiatives in retail pharmacy and the public sector.